So. Breastfeeding. Where do I even start?? I guess there’s no better place than the beginning. Many, many people have written about their personal experiences. I know this because I read them ALL during the first few months. So, why am I writing? Because if this reaches just one person who’s sitting at home quietly struggling then it’s worth it. I tried to breastfeed the girls, but they were in the NICU for the first two weeks working on developing their sucking reflex and got used to the easy flow of the bottle. I also was stressed to the max about being a first-time mom with two babies in the hospital. I had no idea what I was doing or what to expect. So, I ended up pumping and supplementing with formula. Then when I couldn’t pump any longer, we switched exclusively to formula. My girls turned out fine!! Well, fine enough. Ha! Let me stop here and say I am a firm, firm believer in “fed is best.” There are pros and cons to your health and your bond with baby EITHER way you do it. Love your baby, feed your baby and do your best — that’s my motto. That being said, when I couldn’t breastfeed the girls, I felt inadequate. What does it mean that I can’t feed my own babies?? I was hopped up on hormones and exhaustion, so no doubt that played a part. But this wasn’t a logical thinking process. It was pure, raw emotion. Some mix of societal pressure and natural instinct to keep our young alive allowed these feelings of guilt and shame to take up residence. Once I accepted the circumstances, it turned out fine. The feelings of guilt and shame went away. I saw the rainbow of not stressing about pumping and started enjoying their babyhood more. But when Henry came around, there was a fire deep in my belly — I burned with determination. I was going to prove to myself (because it really wasn’t about others) that I could do this. The first few weeks were awful. I cried at least once a day. He could have had a bad latch or I was sensitive or maybe everyone feels like that. I often asked Scott to go to the store to get formula and he’d hesitate at the door to see if I was serious and I’d say “No, not really. But maybe later. Don’t go far.” But things got better. Then they got worse. For the entire month of September, I struggled with a plugged milk duct. It consumed my thoughts. It was hard to focus on work or sometimes even hard to focus on Henry. All I could think about was getting rid of it before it turned into mastitis. I was terrified of mastitis. I searched the entire internet for advice. I worked with a lactation consultant and my local La Leche League group. I had lists upon lists of advice and tricks. By week four, the milk from that side was almost completely blocked. I can’t describe how heart wrenching it is to try to feed your baby in the middle of the night and just have him scream because nothing is coming out. Enter the guilt. Here I am starving my child, so that I can prove to myself that I can do something. After that night, I went in and demanded that someone help me. The lactation consultant referred me to the OB. When I called the OB, they told me to call the lactation consultant. That’s when I threw a huge fit. Someone was going to freaking fix me or I was going to go all Hulk-Mom. I finally got into the nurse practitioner at my OB’s office. She diagnosed it as a breast abscess. Don’t Google it, but just know it scared the crap out of me. A couple of rounds of antibiotics and everything cleared up. The infection. The plug. The obsessive worrying. After that, things did settle into a bit of a routine. My milk supply returned, he was better at latching — everything seemed pretty good. In March, he was teething and the little booger bit me - not on purpose, of course. But man it hurt. This might be a little TMI, but I figure if you’re still reading, you’re in it for the long haul. This puncture wound was extremely painful. Maybe worse than the pain at the beginning of breastfeeding? It was starting to look infected, so I called my OB right away and they hooked me up with some ointment. It was still extremely painful though and when I asked my OB what to do, he recommended i just not feed on that side for a couple of days. This was my mastitis side — that was NOT going to happen. I was not risking that torment again. So, I nursed through the pain. It took a month for it to finally heal. Oh the relief. For a couple of days. Before he bit me again. I’m not even kidding. He bit me again as soon as the first wound healed. Repeat this same process. One month later, that wound had healed and things were back to normal. Better than normal. We were like a breastfeeding machine. He knew what to do. I knew what to do. My milk supply was on point. I was doing backflips (in my mind … I can’t really do a backflip, y’all). It was about this same time that we found out he was allergic to milk, so I was cutting milk from my diet as well. No cheese. No sour cream. Please tell me how someone eats a taco in these conditions!! Compared to everything else though, removing milk was cake. But not really cake because cake has milk. You know what else has milk? Pie. I love pie. Then he turned a year and there was talk of weaning. So, let’s recap. 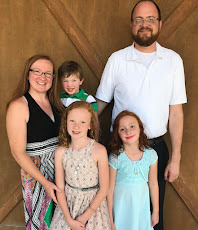 Extreme pain, plugged ducts, mastitis, two bites and diet restrictions. I should be happy about the possibility of weaning. Right? Wrong. I don’t know if it was hormones or the fact that it signaled the end of a chapter, but it was intense. It’s been almost a month now and things are fine. Henry adapted like a champ and the freedom is unreal! I can go to movies and out with my girls and not worry about needing to be back to feed Henry. I can eat whatever I want (I definitely have). In fact, a few days after I finally fessed up that I was finished breastfeeding, my sweet, sweet husband brought home two pieces of homemade pie. I literally started crying in my kitchen. So, having done it both ways, I am here to tell you — FED IS BEST! You can do formula and feel bad about it and you can breastfeed and feel bad about it! You can do formula and feel more mental healthy and you can breastfeed and enjoy the physical health benefits. You bond with them either way. All that matters is that you love them, feed them and do your best.